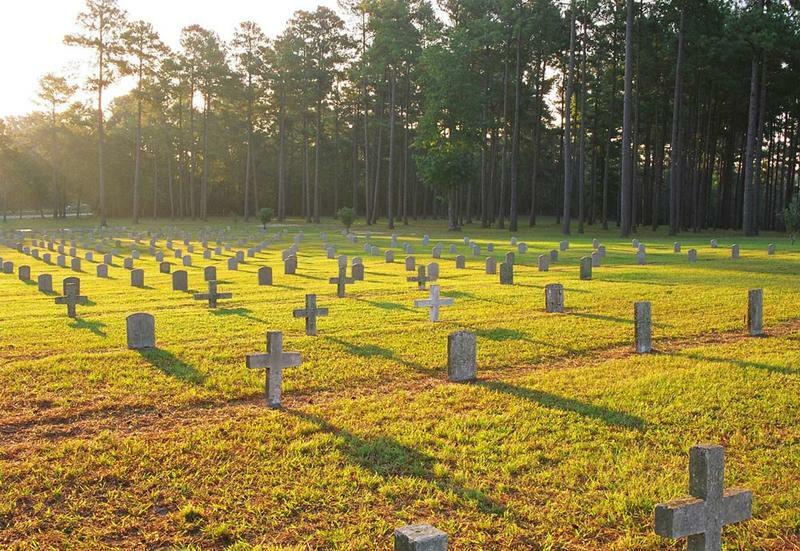 Located on twenty-two acres behind Sam Houston State University, Captain Joe Byrd Cemetery serves as the final resting place for inmates who die in prison without funeral or family arrangements. The cemetery probably began in the 1850s, when the prison system performed burials on the land before it belonged to the state. The land belonged to Sanford Gibbs and George W. Grant who eventually donated the land to the prison system. Despite its long existence, much of its history is a mystery for the prison system did not start to keep record of the burials until 1974. In the cemetery’s first 100 years, wooden crosses were used to mark the graves. With time, the wooden crosses rotted in place, and the 312 graves at the site became unidentifiable. 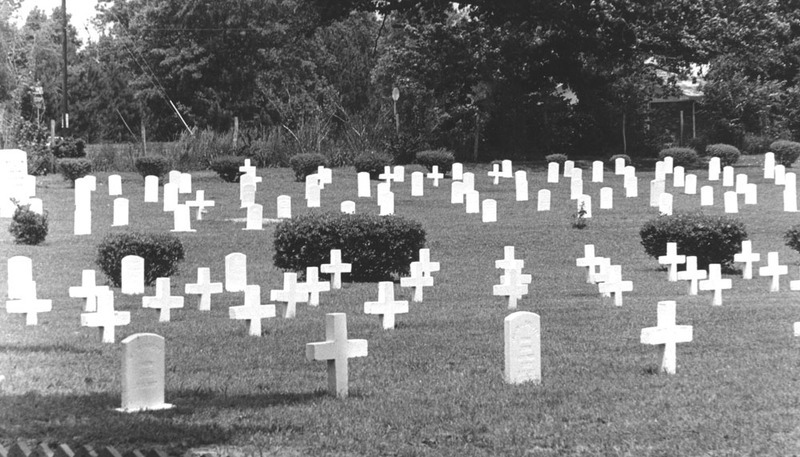 Blank white crosses today mark these unknown graves. In 1962, Captain Joe Byrd, assistant warden at the Huntsville Unit, took the initiative to clean up the cemetery grounds. After he and his crew were finished, they found about 900 graves within the cemetery. There are two famous grave sites within the cemetery. 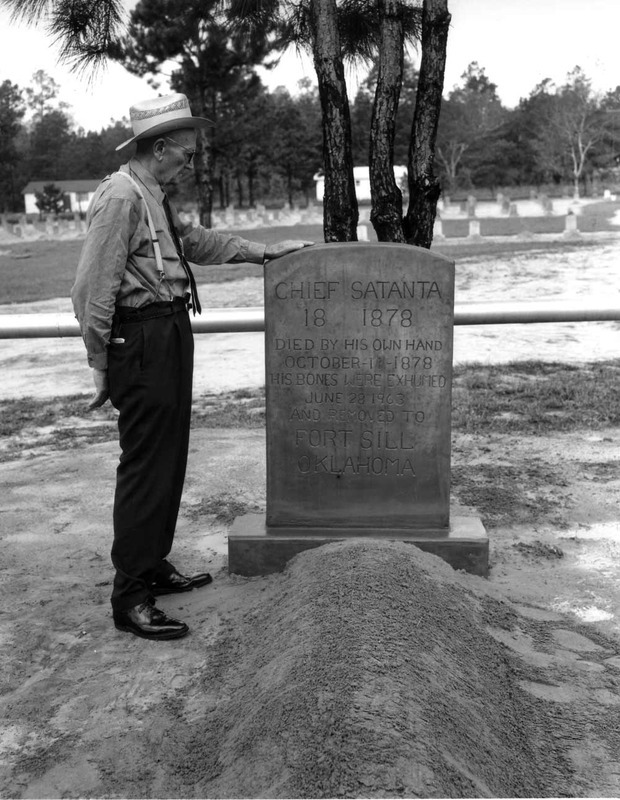 The first belongs to Satanta, a Kiowa Indian chief, who was buried in 1878 after committing suicide at the Huntsville Unit. In 1963, his remains were removed and he was given a traditional Kiowa burial rite and reburied in Ft. Sill, Oklahoma. 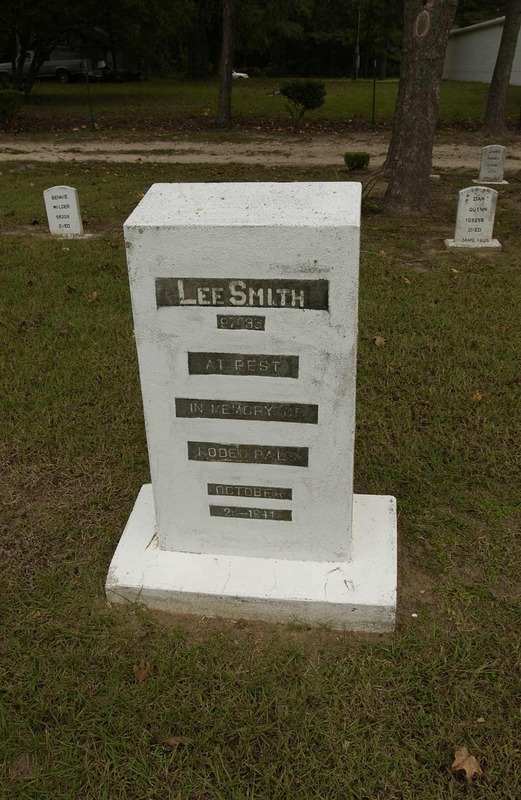 However, a “large monument to Satanta still sits in the prison cemetery.” The second famous site belongs to Lee Smith, a star of the Prison Rodeo, who has a headstone that reads, “At Rest, In Memory of Rodeo Pals." Henry Lee Lucas and Kenneth McDuff who were infamous serial killers and three of the first five men to be executed by the prison system are buried in the prison cemetery. Today the cemetery as over 2,000 inmates buried within it. A small crew of inmate trusties currently manages the cemetery. 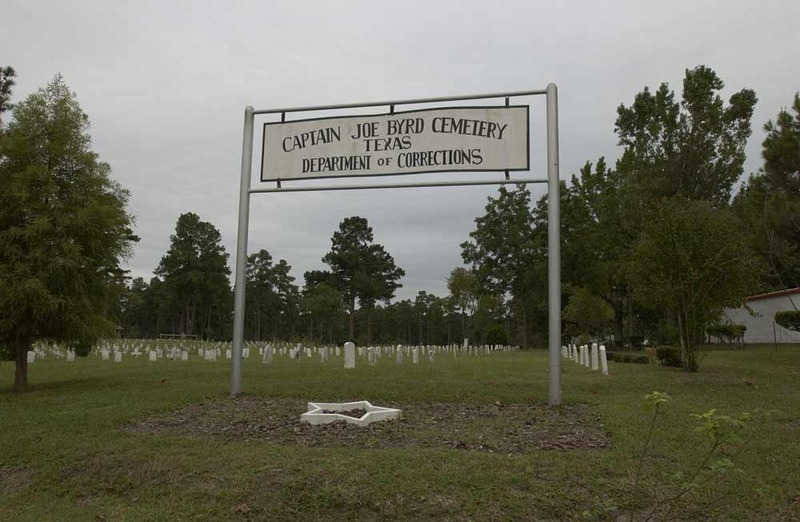 Elizabeth Neucere, “Captain Joe Byrd Prison Cemetery,” East Texas History, accessed April 21, 2019, https://easttexashistory.org/items/show/44. Art Chapman, "Prison system's cemetery a place of historical neglect," Houston Chronicle, April 2005.